Today I am going to do a detailed website review of an Indian Online Store Indiarush.Com. Indiarush is the perfect destination to get all types of Indian Ethnic Wears & Imitation Jewellery . 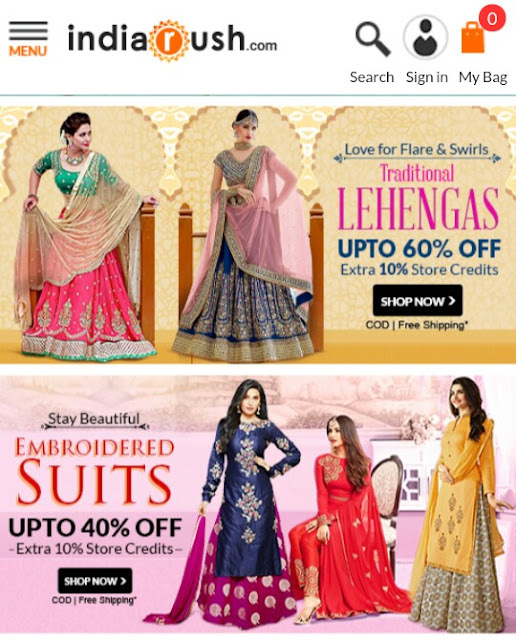 One can find wide range of products there .Staring from Sarees , Salwar Suits , Lehngas , Dresses they have every thing which Indian Women Look For . 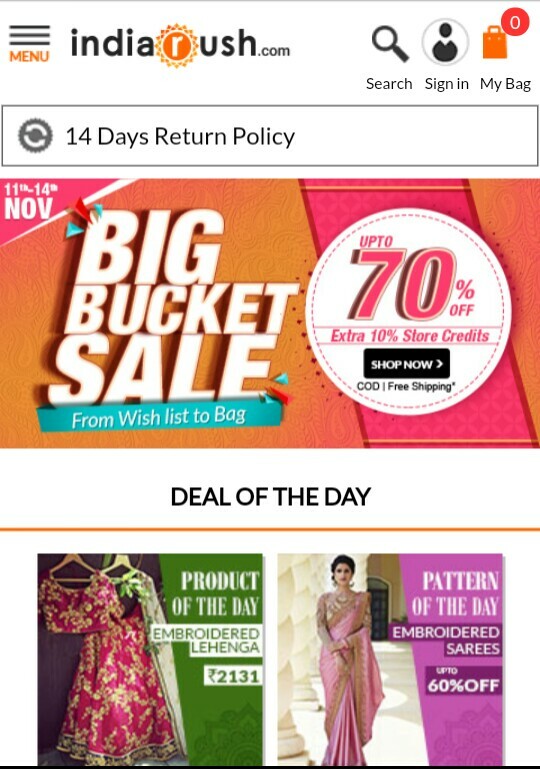 Right Now one can check the Big Bucket Sale where as one can get Upto 70% off with extra 10% Store Credit at their site . A Great Deal for Online Shoppers like us . One can get upto 60% off on Traditional Lehengas with extra 10% store credit which can be used in next purchase from the store . 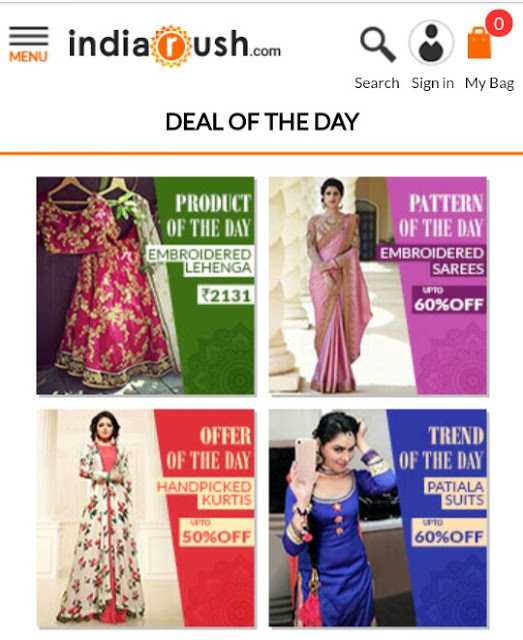 One can also check Deal of The Day . Where as one can get huge discounts on various categories of products . Do Check their Saree Section which has a Lovely Collection of Beautiful & Gorgeous Sarees . Their Jewellery Section is also good . One can get variety of Imitation Jewellery in affordable range . And after discount the price is too less and one can buy easily . 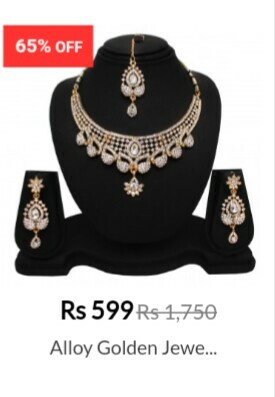 Alloy Golden Jewellery Set . It’s a set of Necklace , Earring & Maang Tika . After discount the price is Rs 599 ,which is too good & affordable . One can check the Jewellery section to see some lovely Jewellery pieces at great discounts . 1. 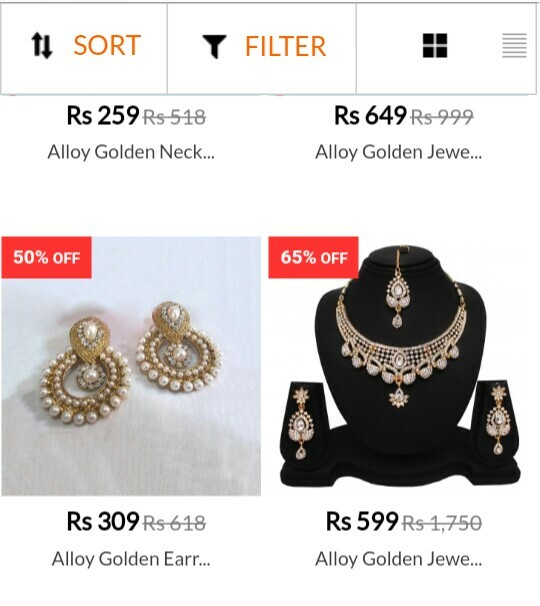 Good Collection of Lovely Products both in Apparel Section & Jewellery Section . 2. Great Deals & Discounts . 4. 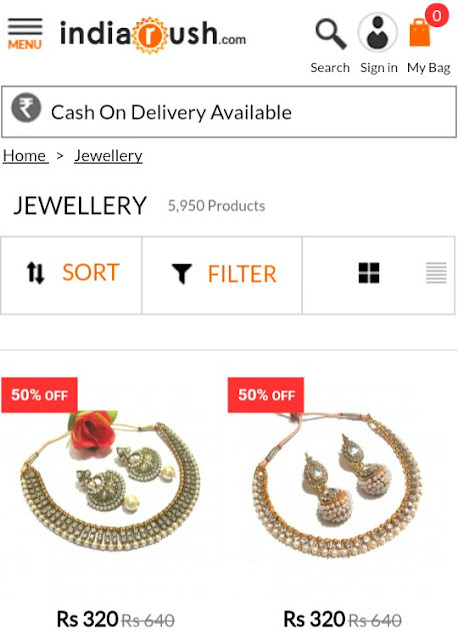 Various Payment Options Available including Cash on Delivery . 5. Return Option is also there , So if one is not happy or satisfied with the product can return or exchange the product with in 15 days of Purchase . Indian Ethic Wears are in demand these days. For our Daily Wears , Functions , Festivals , Parties we do look for some good ethnic wear and matching Jewellery in affordable range . So We can check some good online stores like IndiaRush to get what we are looking for . So that we can shop some good products at affordable Price . Do check the store and it’s products . 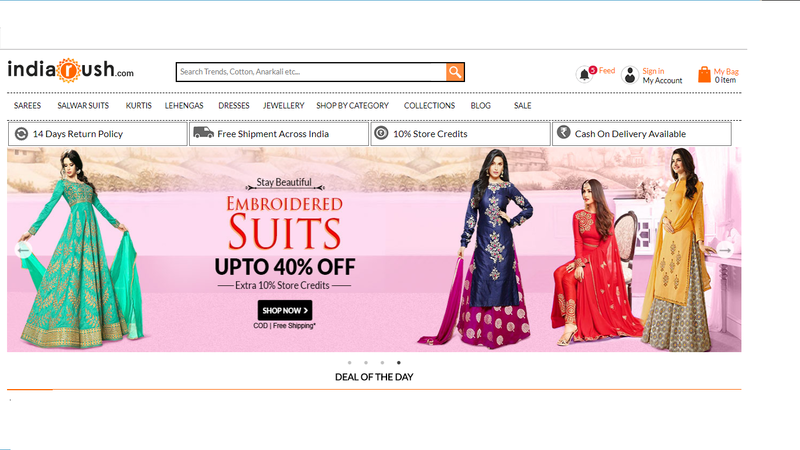 Do Share Your Views on Online Shopping for Ethnic Wears .